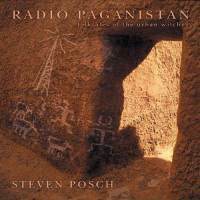 Okay, here’s how it goes: Answer the question, and a randomly chosen participant will win Steven Posch’s wonderful CD of stories: Radio Paganistan. The winner will be chosen at 5pm on Sunday. If you had the time, what pagan practice would you take up? What have you always been meaning to do? Sunset offerings? Observing every full moon? Meditation? What? That’s it. We can’t wait to see what you come up with! My Great Grandmother did it. I have had my moments, but, have struggled with the whole thing. I worry if I let it happen, I'll lose control, and something will happen. I mean… who knows, you know!??! And that scares me. Yet… I am drawn to it. When I was 9, my Grandmother channeled someone. A deceased family member. I'll never forget it. It was Christmas Eve. I remember feeling her hand, and noticing… wow, this is not my Grandmother anymore. I didn't understand. She wrote things down, and it was not her hand writing. She said things about people she would never know. When I was 12, my Mother channeled a deceased friend. She sang a song she didn't know, in bit and pieces of Russian… which none of us speak. And as the years passed, it happened a few more times, and we could always tell when it was coming because things changed. It's hard to explain… you just have to know what I mean. It's a feeling… sometimes heavy, on your body and especially on your skin. And sometimes, it's just a perceived heaviness. Sort of. It's so hard to explain. But, in the last 10 years, that has happened to me. That change… that feeling. And I have found a way to NOT let anything go on. Loud music. Walking around, going outside into the cold. Eating or drinking. Calling someone on the phone. I have shut it out. Now I'm entering what feels like a very new chapter of my life. I don't know why exactly, but, I'm starting to wonder if it's time for me to let the channeling happen. I already read Tarot (another family talent) and have visions when I read (yet another family talent) … but the channeling. Just couldn't let it happen. I don't know if this is really considered a Pagan “practice” to most… but it is for me. And so, I've decided to share. Maybe this summer will bring some interesting experiences into my life? Blessed Be! Have an ecstatic dance party every full moon. Writhe and sweat in the full moon's light, make love freely, play music, eat, drink, and be full of life itself. The theme would be roses- oils, petals, and rosewater. All Hail Komus! Definitely celebrating each full moon. We have made it out more to dance in the rain lately, so that's a step in the right direction. Miss Boo, I channeled often as a child, often using free writing and ouija boards. I hope you are able to find a safe space and group to explore channeling with. Violette, You know I would be at every one – Hail! Domestic Diva, my family pours an offering at every full moon. It is very simple and quick, but meaningful. Thanks for commenting! I (Melanie) would like to get back to daily tarot card readings. You know, maybe I'll just leave a deck at my bedside as a reminder….. I have never been good about doing something daily, and I have always thought that I needed to do them but just plain “forget” to get started! it seems like a lame thing to say, but I just haven't started even though I think often that I should just do it. that the discipline of it would be good but that I might get even more out of it than the discipline. Michelle, I bet you could identify one plant in your yard, neighborhood, city each day! Collect and Harvest Herbs – I love “weeds”! I have done several weed walks (I discovered milkweed pods and will never be the same) with herbalists and I would love to spend some time doing that on my own; harvesting, and making herbal concoctions to enjoy and share. Lately I feel I don't have the space or time to collect, harvest, and store. When we lived in Biloxi, I had a whole room dedicated to it, and I would waste days in there 🙂 Even the thought of the smell of the room brings a smile on my face – sweet dandelion wine. I 'm on the same page as Christine I'd love to go weed gathering and making herbal concoctions .I know about a few weeds and there uses but need to know more !! I would like to start every day with a cleansing ritual, probably by saging my home and myself, meditation, and prayer. Actually, I'm gonna try to start doing that, maybe I'll start tomorrow! Hmm….I would do more with community, opening my heart to let in those needing community for sacred communion. I used to do more, hold full moon drummings, moonlodge, goddess crafts, reiki shares, channelings, meditations, and ecstatic dances, but my heart got hurt, and I needed to heal. I didn't do this work for my personal healing, but for sacred community as I am a circle keeper. I do all of this on my own anyway and with my family but still feel there is a call to sharing the experience, and perhaps I will try again. I didn't do it for money, however donations were welcome, I did it just because there was a need and a desire. I found a lot of joy in the process, and yet had some wonderful juicy life lessons to learn too. Karma. Sweet Karma. I am preparing to shift again, as I'm closing my Studio and focusing my work back in my personal space again, as the community doesn't seem terribly interested in the healing arts and I refuse to whore my gifts to make a mortgage. Much brews. Much freedom ensues. I am excited. My Mocha Java Rite where I honor the ancestors, my plant and animal allies, and deities, Fae and Orisha who call me needs to happen several times a week instead of several times a month. Congratulations to our lucky winner Dragonfly Shaman! Email or facebook message us your mailing address. I know you'll love this CD! Yay!! So awesome! I feel super blessed and grateful. Many Thanks to Many Hands House!! Next Next post: Weed Walking!